I've never been a big proponent of picking up somebody's project...except when the asking price is right. 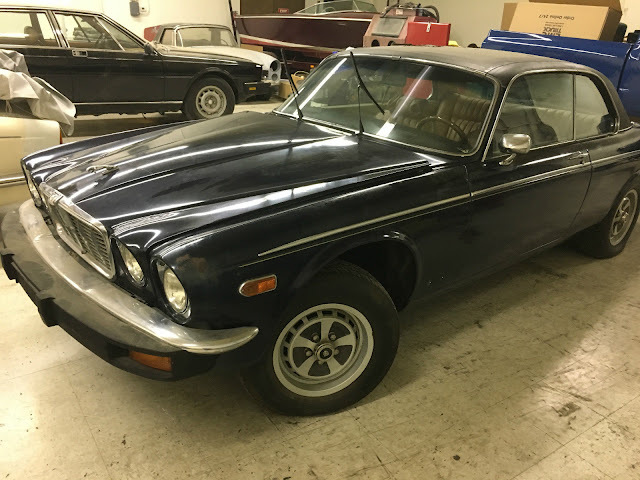 And for a Jag XJC without an engine/transmission, the price had better be REALLY right before I consider it. Find this 1975 Jaguar XJC here on eBay bidding for $2,249 with a few hours to go, located in Campbell, CA. The question isn't if this car is a good deal...but the question is: What do you put under the hood? 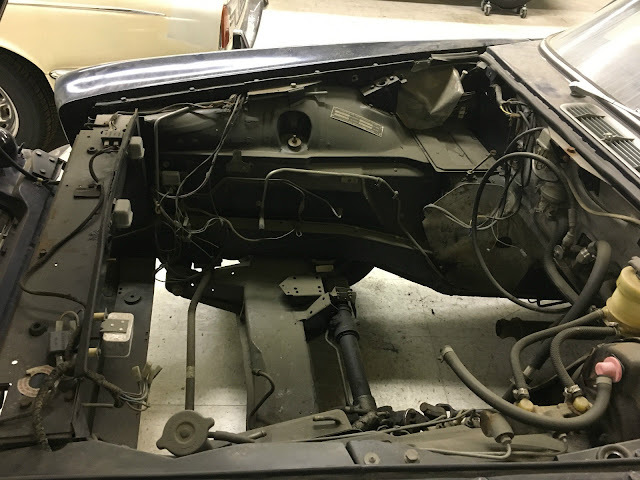 Do you find a used/abused V12 from a later Jag, or do you get something from the pushrod and carb family of Chevy V8s? I dunno...what do you guys think? What goes here? Comments below. I'd go with a later 4-liter I6 from the X300 or the V8 from the X308/S-Type. whilst SBC swaps are okay, keeping the Jag in-house is even better. Although I am a Jaguar fan, when faced with this situation, I would go the easy route of a V-8. But I probably would get silly and mate it to a 5-speed manual. Having the engine already out raises the value of this car. The 1.0 liter Eco-boost from last week for $600. This is obviously the most correct answer. I'd missed that it was a coupe - my interest just doubled. Ya gotta wonder given the overall condition of the interior and the appearing to be primered door jambs, whether it served as a chicken coop for a farmer in Campbell. I'm guessing that the seller wants a corvette motor in this since that is his user name. I would try and source another V12 so you don't have to change the emblem on the back, plus gotta love the exhaust note and the torque. And it has a US spec bumper that the whole family can have a picnic on. Looks like this was the donor car for the better looking White XJ12C also in the shop. I wouldn't feel too bad about missing out on this left-overs coupe at over $4k, unless you already had a spare engine/transmission sitting in your garage. Late to the party, as usual (my latest project was just dropped off, arriving the same way 90% of my project cars do: on the back of a tow truck). The burn-out was epic! What a beautiful car as well. It would be interesting to pull the engine/transmission from a 2006 S Type R to swap in, lots of power and still keep it within the Jag family. Thursday Twister: A Swap Too Far?